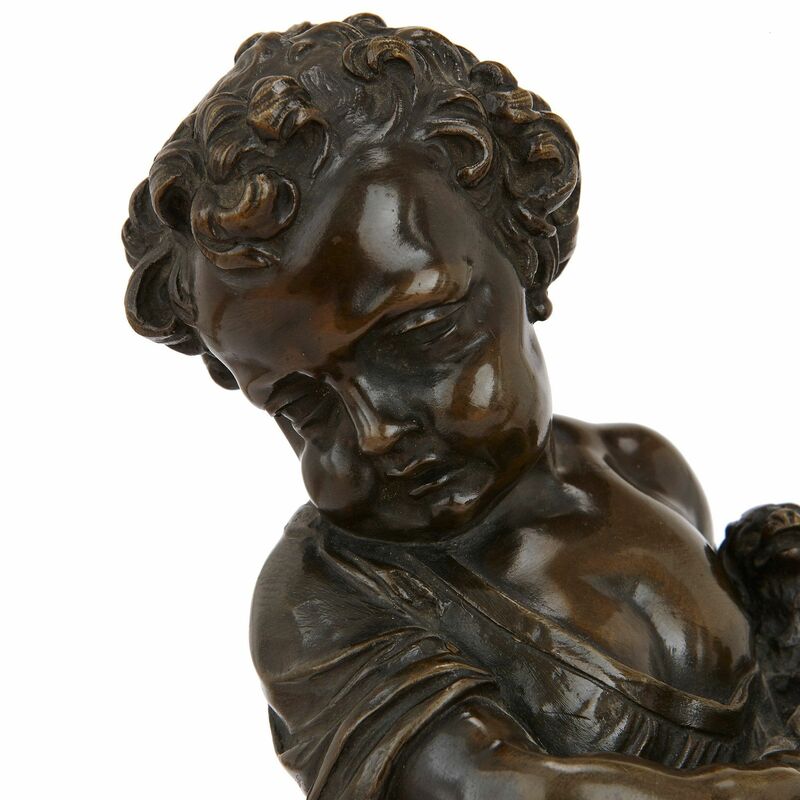 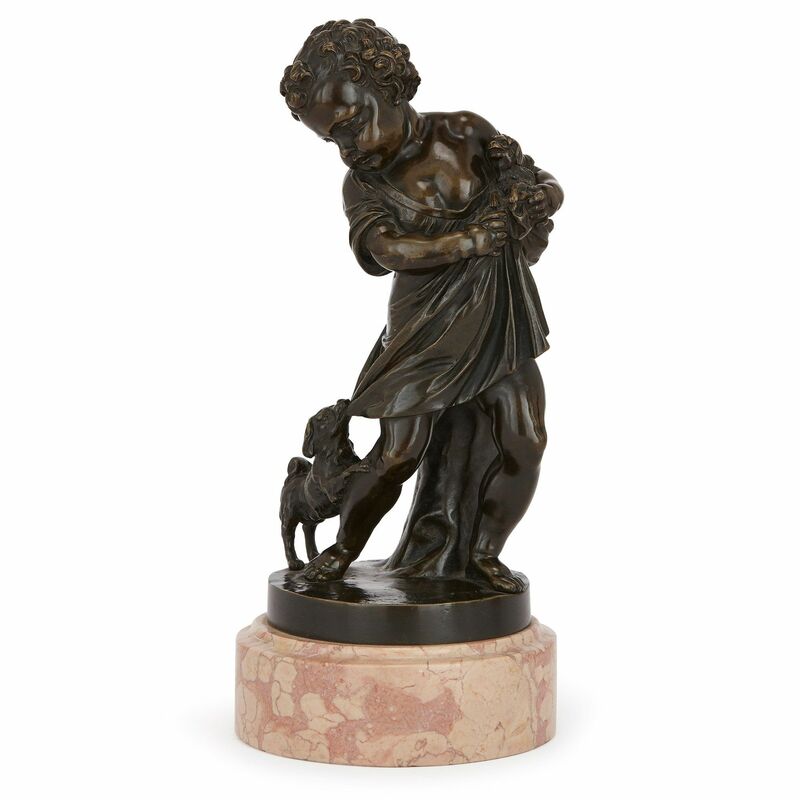 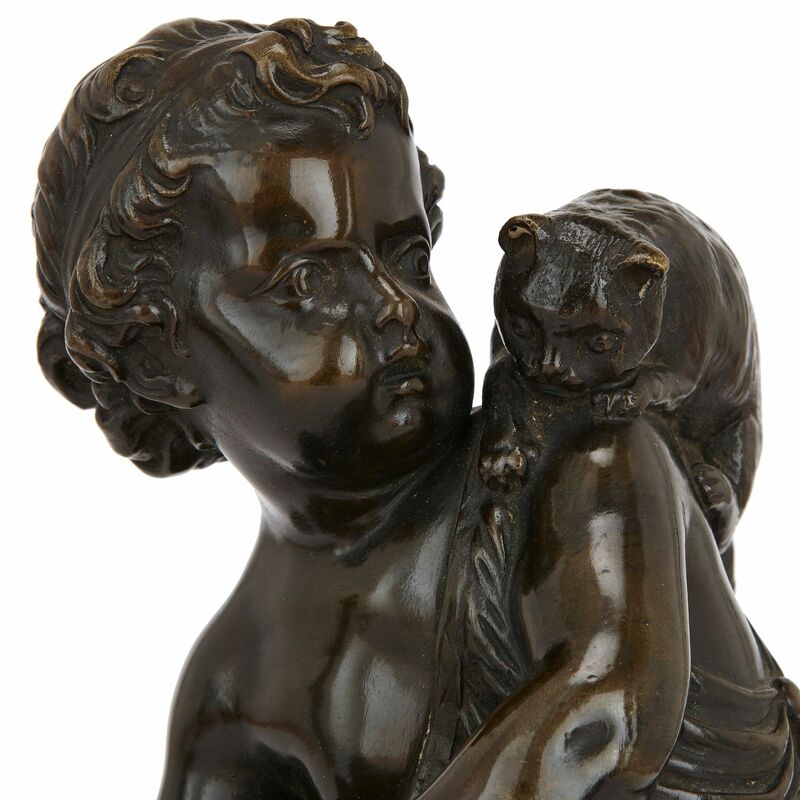 These charming, cherubic sculptures exhibit a high quality of craftsmanship, with the lustrous sheen of the bronze offset beautifully by pink, marble bases. 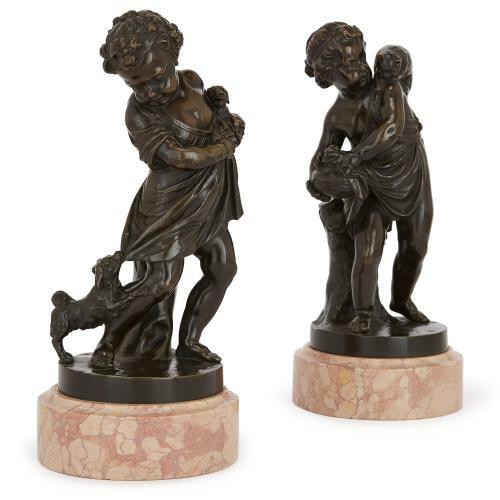 Each of the pair of antique bronze figures are set on circular plinths of pink, veined marble. 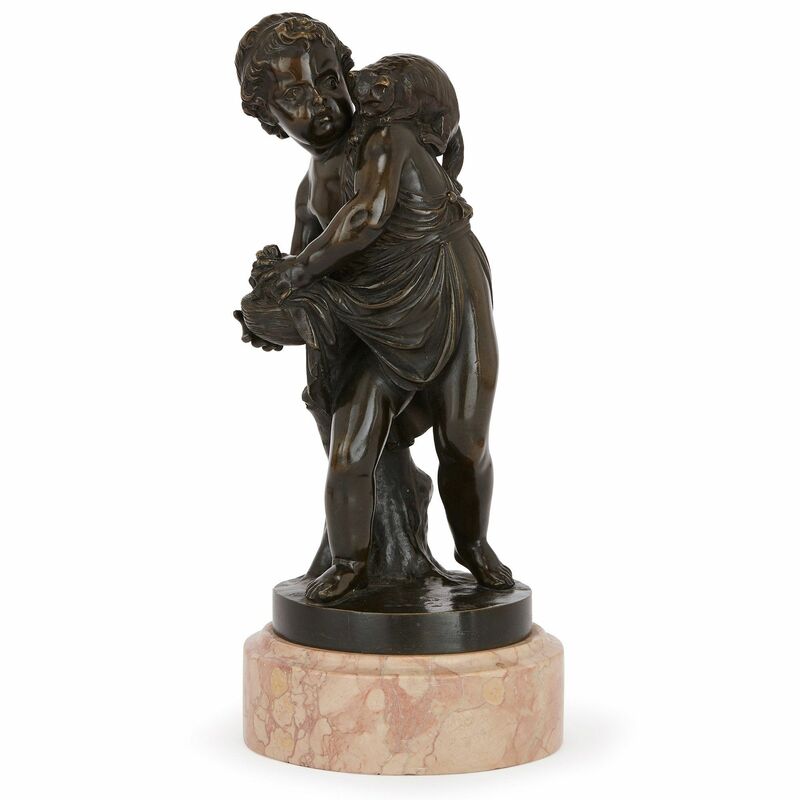 The figures stand atop the marble, and depict two young boys both swathed in draped clothing. 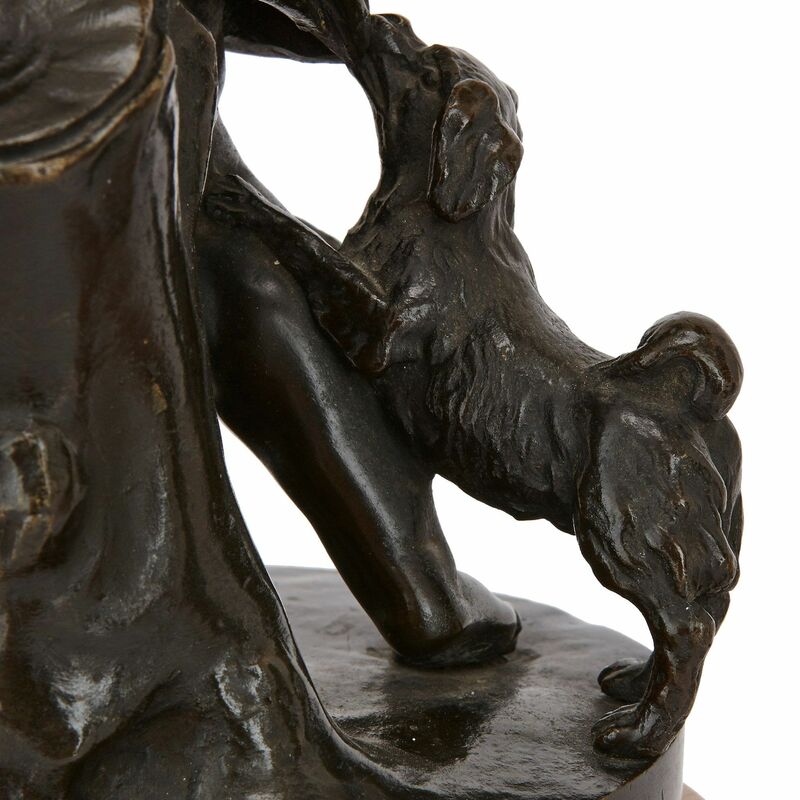 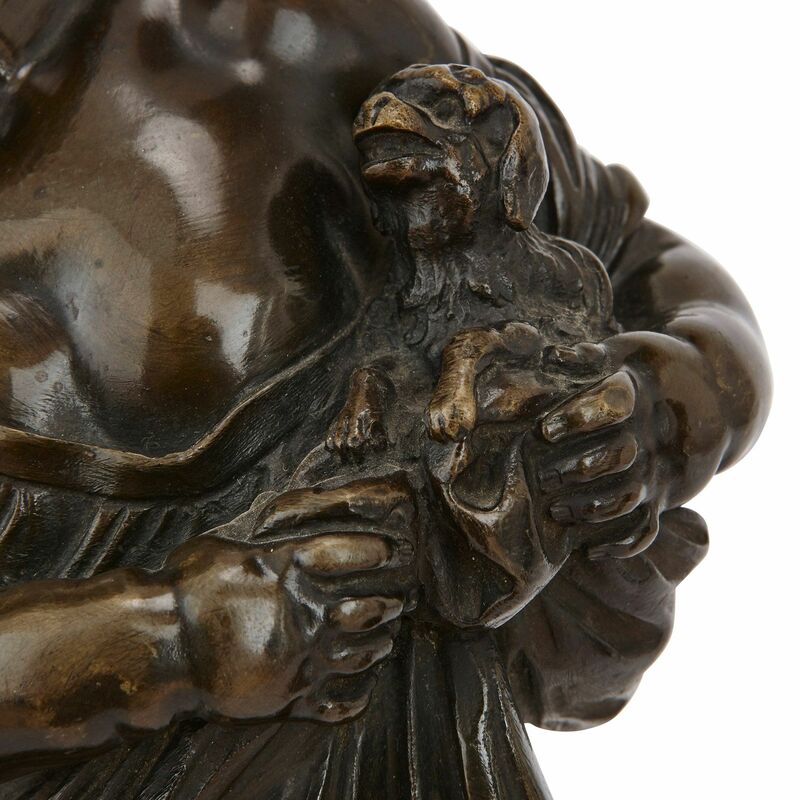 A dog pulls at the clothing of one of the figures, who closely holds another dog to his body. 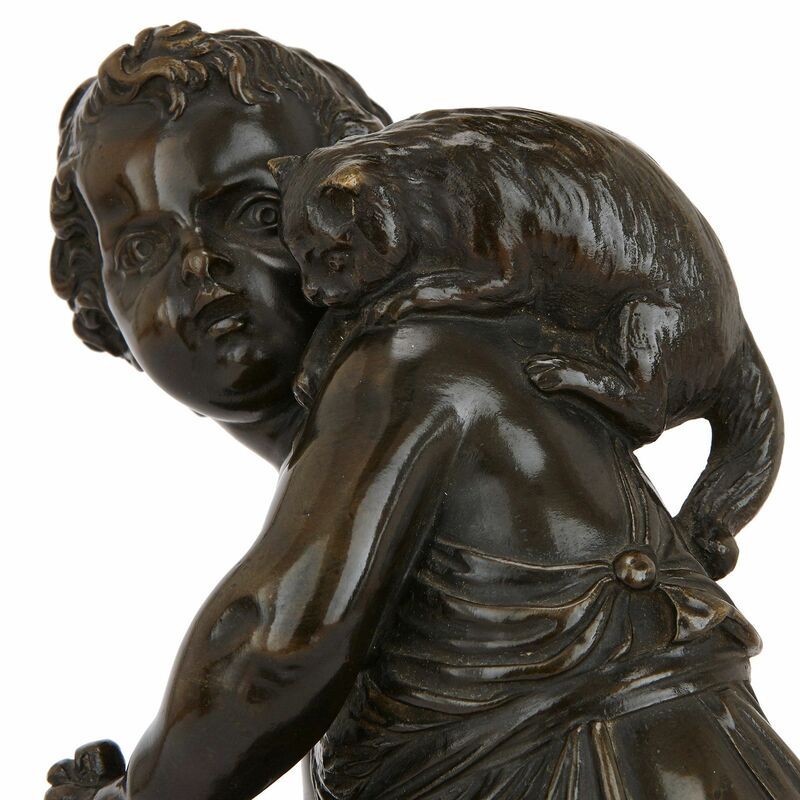 A cat has leapt onto the shoulder of the other figure, who holds a live birds nest to his waist, away from the cat.